How Can You Prevent Crime in Your Community? The Palms Community Neighborhood Watch Program is a crime prevention program that enlists that active participation of residents in cooperation with local police to prevent and reduce crime. Residents not only know about each other, they take the time to work in a program of mutual assistance. 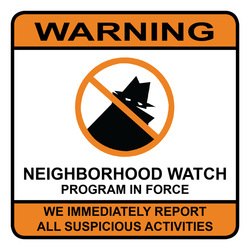 The Neighborhood Watch Program is about crime prevention, education and implementation of important security strategies.